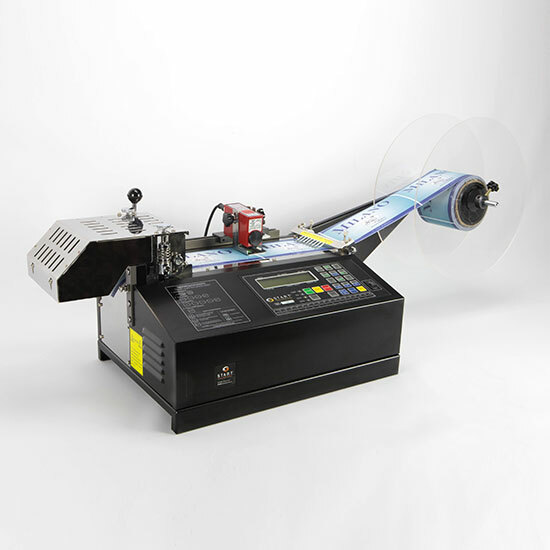 The START International TBC50S Heavy-Duty Printed Label Cutter automatically dispenses, measures, and cuts printed labels (fabric, plastic, metal, etc.) using a high precision photosensor. 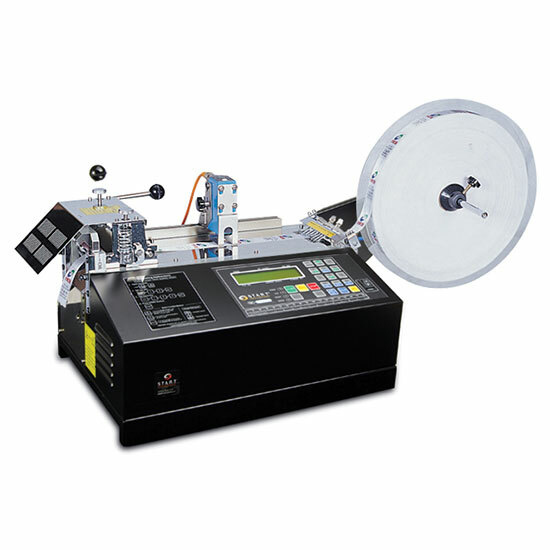 It's ideal for heavy production to cut all kinds of label materials quickly and easily. The TBC50S cuts up to 4.33" (110mm) wide material or multiple rolls. 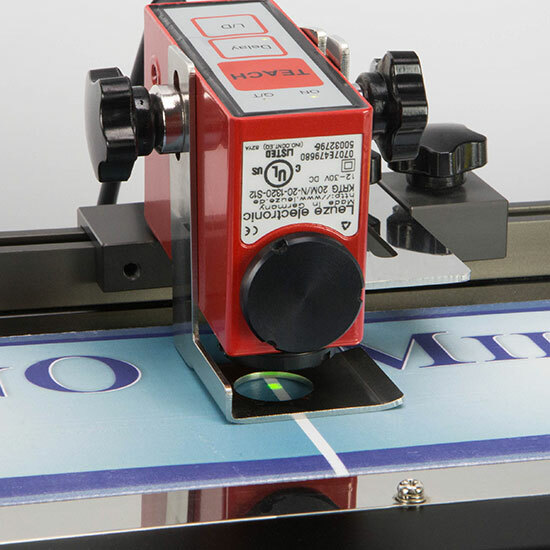 The built-in high speed operation cuts up to 140 pieces per minute at 2" (50mm) in length.